Display cases serve as a way to show off your and arrange your inventory. But they can do much more. In some cases, they can control temperature and preserve products. In other cases, they can offer enough aesthetic appeal to draw the customer’s attention and often their money. Quality displays are essential to all dispensaries so check out this list of companies creating displays tailored to the specific needs of the cannabis industry. Bud Bar Displays offers a wide range of products that are designed to impress your patients or customers. They have displays for flower, concentrates, prepacked goods, and even a tiered joint tube holder. Bud Bar Displays covers all needs for dispensary operators and even has a display that is perfect for trade shows. Their Green Mule functions as an entire dispensary that you can literally take on the road with you. Dispensary Display and Design is based in Colorado but serves customers in several states. Cannabis dispensaries come in all shapes and sizes and have unique customer bases. Dispensary Display and Design understands that cannabis is not a one-size-fits-all industry and creates custom display cases and cabinets to suit the specific needs of a shop. 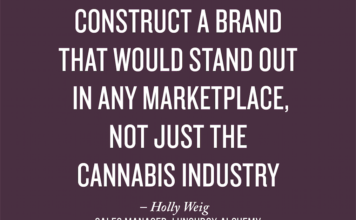 In the cannabis industry branding is everything if you want to separate yourself from the pack. Dispensary Display and Design draws from extensive retail experience to help your shop find its true identity. Display Smart did not start out designing products for dispensaries, but in recent years they have taken their four decades of experience of creating display cases to the cannabis industry. Display Smart offers both pre-designed displays as well as custom products. They specialize in beautiful wood cabinets that will bring a warm feeling to your dispensary. Display Smart have two craftsmen building cases on both coasts and are able to deliver products across the United States. Marijuana Displays is a division of Cold Core Inc., a company that has been creating displays for restaurants, delis, convenience stores, bakeries, and other businesses for a while. Cold Core Inc. specializes in refrigerated displays which are a perfect fit for the cannabis industry and their Marijuana Displays division. Refrigerated cases are ideal for many edibles and concentrates that should be stored at room temperature. Marijuana Displays also offers humidity controlled displays to preserve flower.